Almost all logos, text and other images can be projectd on any surfaces as required . Easy can quick install for our projector kits and can be controlled remotely by our matched controller . It’s a good advertising lighting fixture to capture customer’s attention . More and more places use one or several logo projectors for promotion / message like stores, windows, bars … indoor / outdoor . LED lighting bulbs inside is 65% energy saving up comparing traditional incandescent / fluorescent / metal halide bulbs . Zero maintenance , no need for bulb replacements periodly for our LED logo projector series . 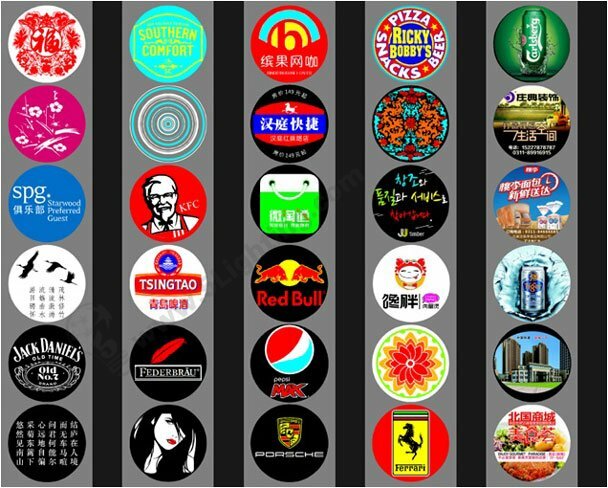 Different gobo types and shapes such as metal, glass or bi-color gobos are optional . Bright – up to 5 meters . Mounting flat plate or recessed dowing lighting installing method can be added as customized . 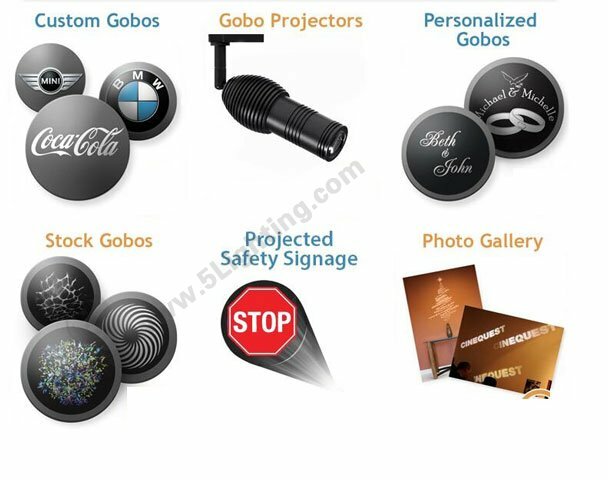 The spirit of logo projector is gobos / slides , abundant images or text can be shown on your gobos . From simply black / white metal gobos, single color / bi-color / three colors to full color gobos . Our 5 star logo projector can have many kinds of gobo patterns . Factory direct led logo projector effects, images and patterns for option – butterfly series gobo projector pictures. A meaningful and creative gobo can be a piece of wonderful artwork. It’s really a great lighting fixtures witch can make your event & exhibition a success and attractive . It’s once for all investment, especially in renting market . Can LED Logo Projector be used for trade show / expo / event ? Yes, Vivid LED Logo Projector can make your trade show / expo / event a success .